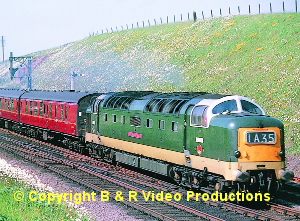 This video covers the line from Wrexham to Chester. 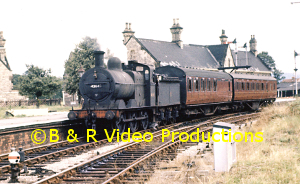 Volume 56 ended on arriving at Wrexham. 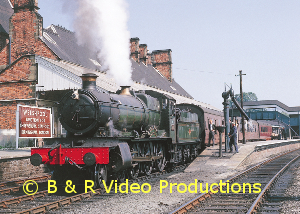 This film begins there and looks at the steam scene around the town, especlally near Croess Newydd. 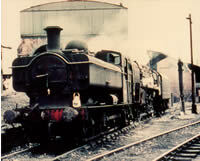 The branch to Brymbo and Minera was steep and engines worked hard over it with panniers, 8F and 9F. 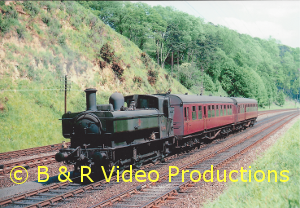 The coal mine at Gresford supplied traffic to the railways and the bank here should need no introduction for its scenery and hard working engines. 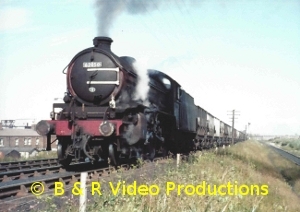 Saltney Junction saw North Wales traffic working alongside the Western with Castle, Jubilee, Scot and others filmed here and over the Roodee. 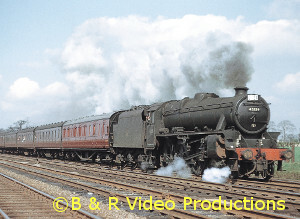 Chester station saw steam until 1967, the last rites are seen with some specials as well.